Gwendolyn Coble Whitaker was born on March 28, 1936, in Lewisburg, Tennessee. She was the daughter of the late James Grady Coble and Mayme Barlow Coble. Gwen departed this life on January 29, 2019, at the age of 82. She is preceded in death by her husband of 64 years, Dan P. Whitaker, her son, Daniel P. Whitaker II (Elaine), and a sister, Carolyn Coble Hunter (Edgar Burt). She is survived by her children, Joseph Coble Whitaker (Rebecca), Tracy Whitaker Allen (William), Mary Gwen Whitaker, Robert Lane Whitaker (Jennifer), and Alisa Kettunen Warner (Howard). Also surviving are her brother James Grady Coble, Jr. (Patsy), sister Jeanne Coble Jones (late husband Buddy), twelve grandchildren, as well as five great grand-children and many beloved nieces and nephews. Gwen graduated from Marshall County High School in 1953. She married the love of her life, Dan P. Whitaker, on February 14, 1953. They moved together to Albuquerque, New Mexico, and later Bangor, Maine, while Dan served in the Air Force before returning to Tennessee. Her vibrant spirit and fun nature touched many lives. 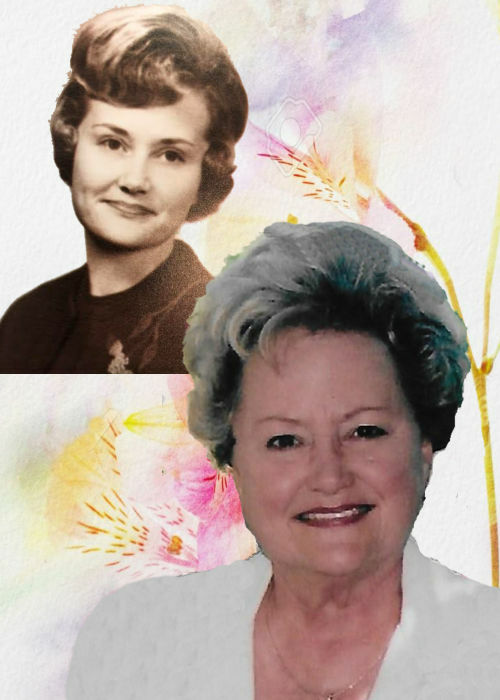 She loved being a mother and her family more than anything and dedicated a great deal of her life to tracing the family genealogy, even writing a book about the Whitakers. Along with studying religious history, Gwen had a passion for travel, having visited all 50 states and traveling abroad with her family. She was a strong Christian, and her deep faith sustained her through numerous losses and long battles with illnesses. The family is grateful for the support and love expressed. A memorial service will be held Saturday, February 2, 2019 at 3:00 pm at Bills McGaugh and Hamilton Funeral Home. Visitation with the family begins at 1:00 pm. A private family grave side service will follow after the service at Lone Oak Cemetery.